1960s Music – 1968 saw several milestones in music. “Classical Gas” written and performed by Mason Williams would become the bar to which composers and guitarists would aspire. On the other end of the spectrum The Doors front man Jim Morrison became the first person to actually be arrested on stage during a performance. It happened at a concert in New Haven, CT and would be repeated at a 1969 concert in Miami, Fl. Morrison’s continued public intoxication and lewd on stage antics made him a fan favorite but not so much with authorities. Also in prison but for very different reasons Johnny Cash recorded a live version of his 1956 tune “Folsom Prison Blues” from Folsom Prison. The song was a crossover hit for Cash, charting on both the Pop and C&W charts and became his signature selection. Another group which seemed to cross charts and boundaries was Creedence Clearwater Revival. Known as CCR the group combined an R&B background with Southern and bayou elements and blended them into a rock format which would be the forerunner of the Southern Rock genre. Their main popularity would be primarily on the rock charts. “Judy in Disguise with Glasses” was a #1 hit for John Fred And The Playboys. The song was a spoof of the Beatles popular song “Lucy in the Skies With Diamonds” and unfortunately branded the otherwise serious band as a novelty act. “Lucy” was their last entree in the charts. Another group who’s chart success would change the bands public perception was The Lemon Pipers. A serious psychedelic rock group their #1 hit “Green Tambourine” was such a bubblegum pop song that it was interrupted as being anti-establishment and therefore popular with the hippie culture. It was in fact just what it seemed a bubblegum / pop song which managed to force the band to record other bubblegum genre songs to satisfy their recording label. 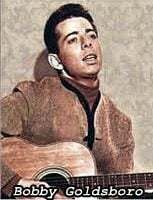 Staying with the crossing genres theme, Bobby Goldsboro started as a pop singer but his hit “Honey” charted at #1 on the pop and C&W charts and established him as a country star. The remainder of his career he managed to place top 40 hits on both charts. Do musical scores sell movies or do movies sell their scores, anyway the movie “The Graduate” catapulted Simon & Garfunkel back into a #1 position on the chart for three weeks with “Mrs Robinson”. Another movie tie in was Steppenwolf’s “Born to be Wild” which because of the 1969 movie “Easy Rider” became an anthem for freedom and rebellion. 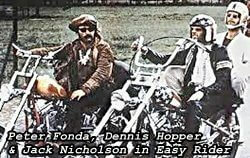 The movie featured the stars riding through America on their motorcycles and the song became associated with the nickname for big chopper motorcycles which was “heavy metal”. Although, not at all related to what would later become the “heavy metal sound”, it was called a heavy metal song.